J. Charles — The League Shop, Inc. Living up to their by-line, this company is "clearly more imaginative..."
J. Charles is the leading glass etching company in the industry. 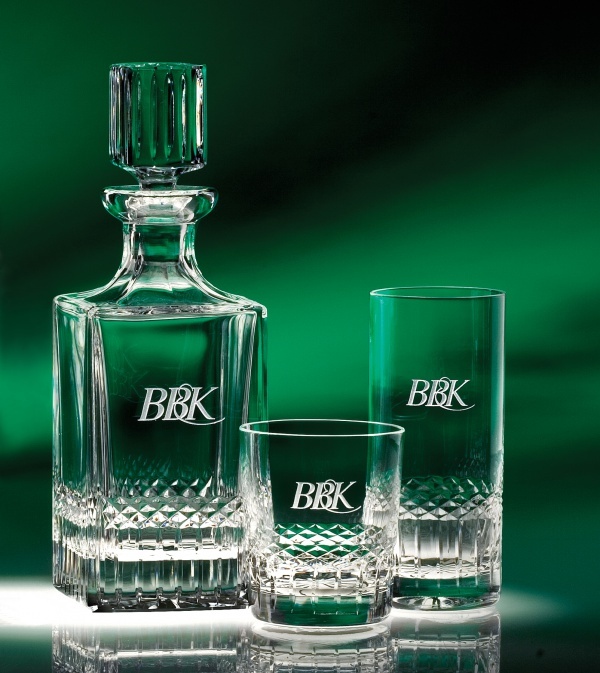 They offer etching and engraving services for everything from everyday barware to high end crystal trophies. Their work includes everything from traditional customer logos to less common initial designs. The versatility of their service has given them a cutting edge in the industry. What sets them apart furthermore is their reasonable production rates. Looking for a gift with that special touch? Monogram a J. Charles glass today!